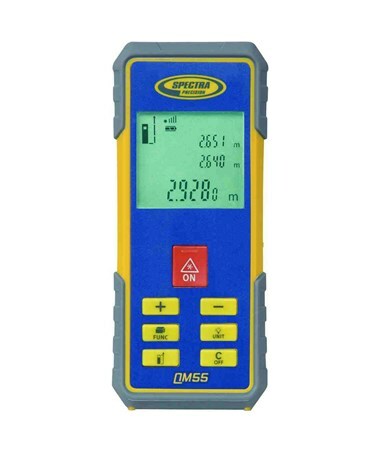 The Spectra QM55 Laser Distance Meter is a fast and accurate handheld laser measuring tool that includes a complete set of functions for construction measurements, including area, volume, continuous measure, indirect (pythagorean) measure and stake out. Designed for indoor use, it has a working range of up to 165 feet and is one of the smallest and toughest laser distance meters available. Fitting comfortably in your hands and in your pocket, the Spectra QM55 is handy for difficult vertical measurements, cluttered environments and other measurements for which a tape measure is not ideal. The QM55 has a range of 165 feet and an accuracy of ± 1/16 inch. 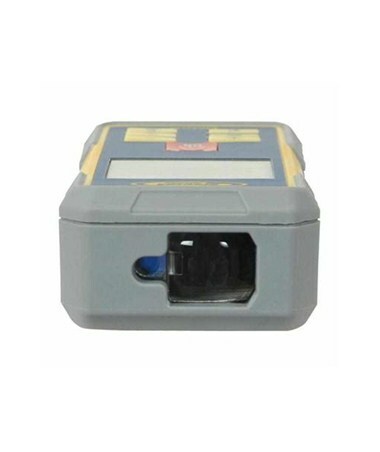 It allows construction professionals to perform long- distance and indirect measurements, calculate volumes and areas, as well as add and subtract measurements quickly. The illuminated LCD screen shows measurement information for easy reading in both low and bright light conditions. 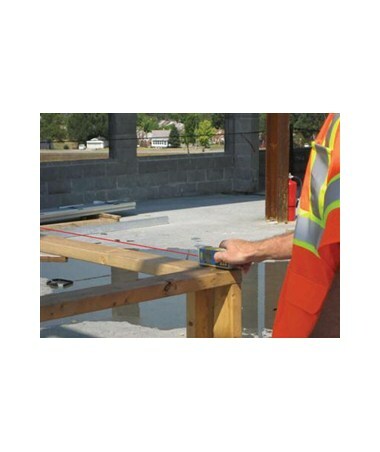 Multiple units of measure are selectable including meters, feet, inches, or feet-inches. 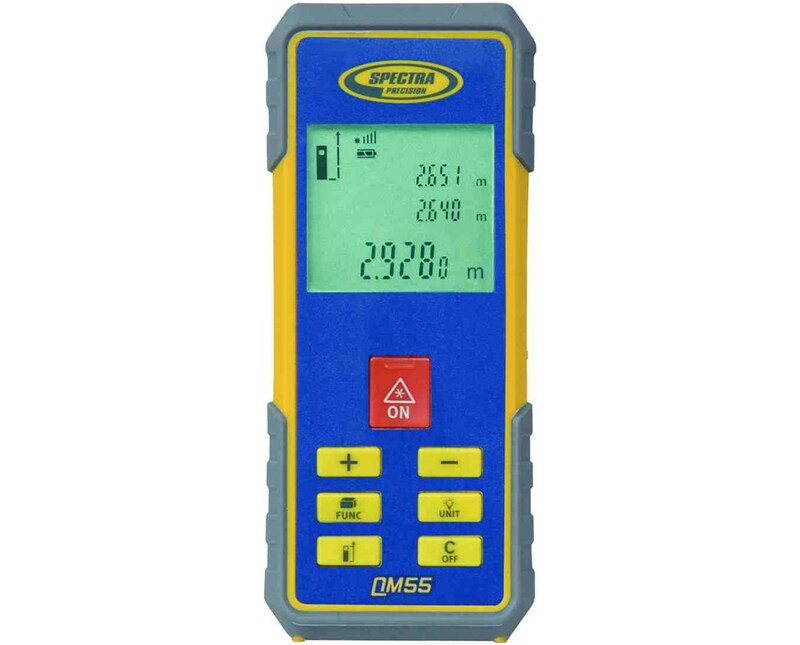 Similar to a mobile phone, the Spectra QM55 incorporates a unique signal strength indicator to help determine good measure conditions. It also includes a 1/4 inch - 20 thread for tripod mounting. 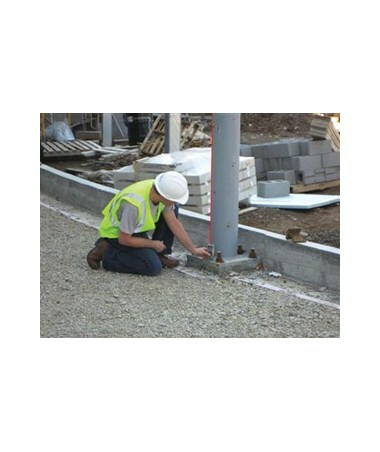 The Spectra laser distance meter is built specifically for the tough construction environment. Its housing is made of durable plastic and protective rubber over-mold. The internal parts have also been cleverly secured and isolated resulting in a product that survives drops from up to five feet high! With a rating of IP54, this laser measuring tool is protected against dust and water splashes from any angle. The battery life lasts up to 5000+ measures, has a battery status indicator and features automatic shut off to conserve power. The Spectra QM55 comes with a 3-year manufacturer’s warranty.